My family and I just returned from our third vacation in Folly Beach, South Carolina, a laid back surfing beach just a short drive from historic downtown Charleston. While we are there, we enjoy a week of fabulous cuisine. My absolute favorite restaurant? Poogan’s Porch on Queen Street, a beautiful home that even has its own ghost story. I’m kind of obsessed. We ate there twice, the bookends to a great week. biscuits. 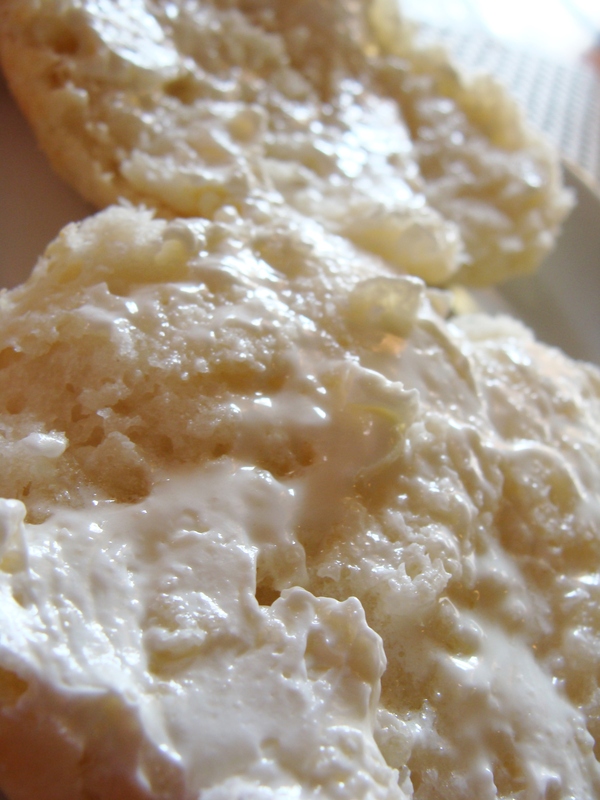 Each meal at Poogan’s begins with the arrival of fresh baked biscuits with butter. Lots of butter. And guess what? If you ask for more biscuits, they bring you more. 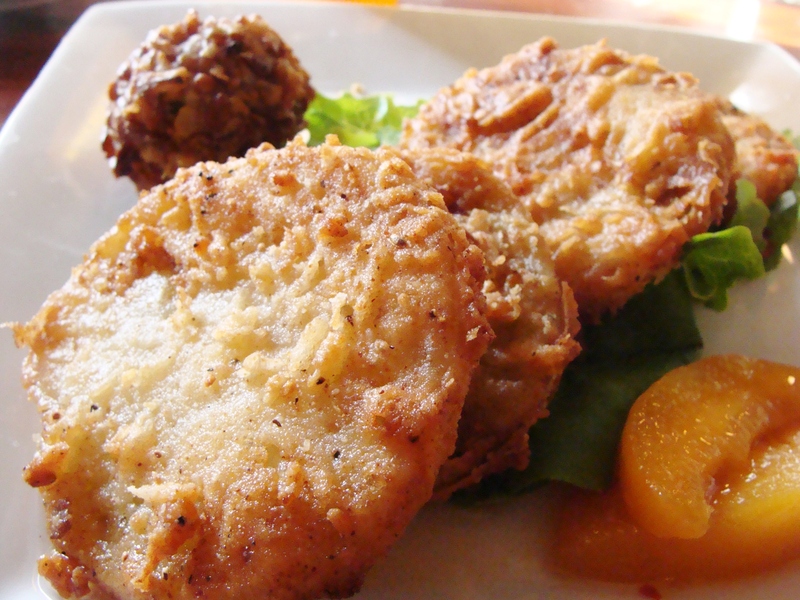 fried green tomatoes with pecan encrusted goat cheese and peach chutney. 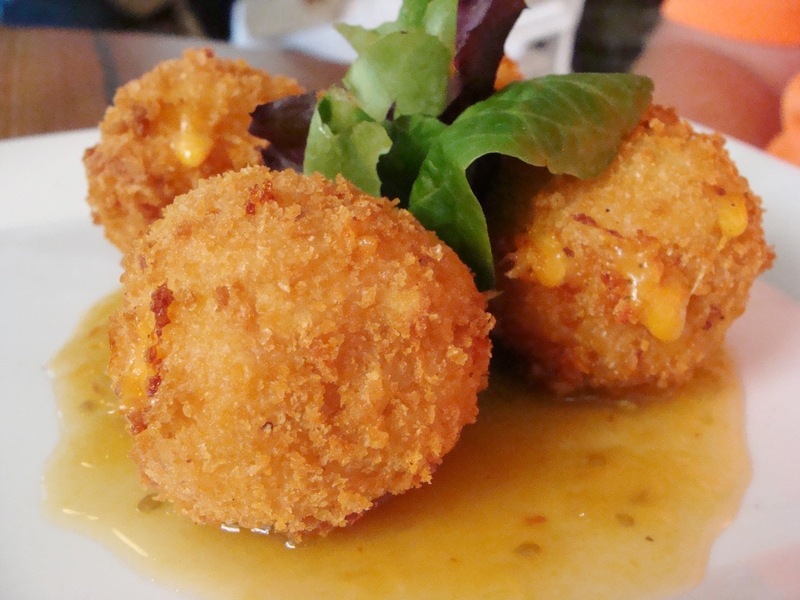 pimiento cheese fritters with green tomato jam. 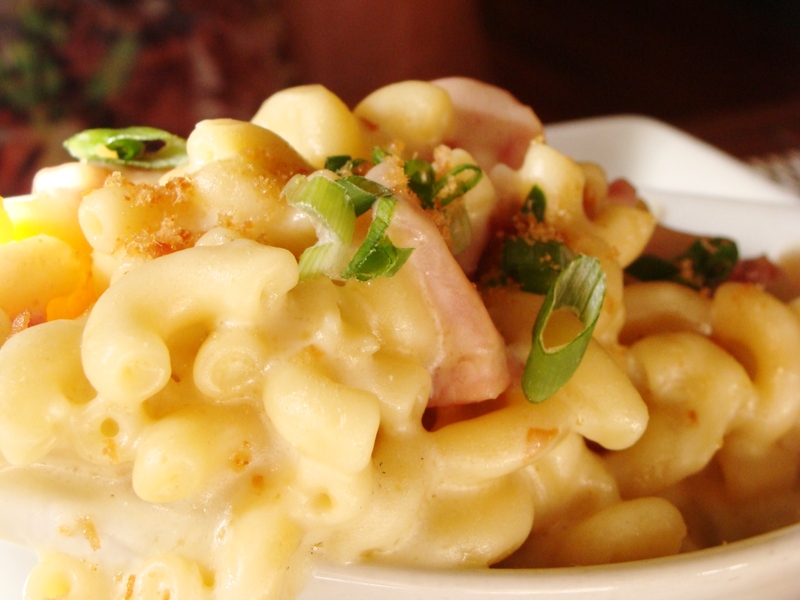 I mean, look at this cheesy goodness! Going to try to replicate this. plantation fried chicken, stuffed with smoked gouda, spicy collards, and country ham. served with mashed potatoes and some greens! 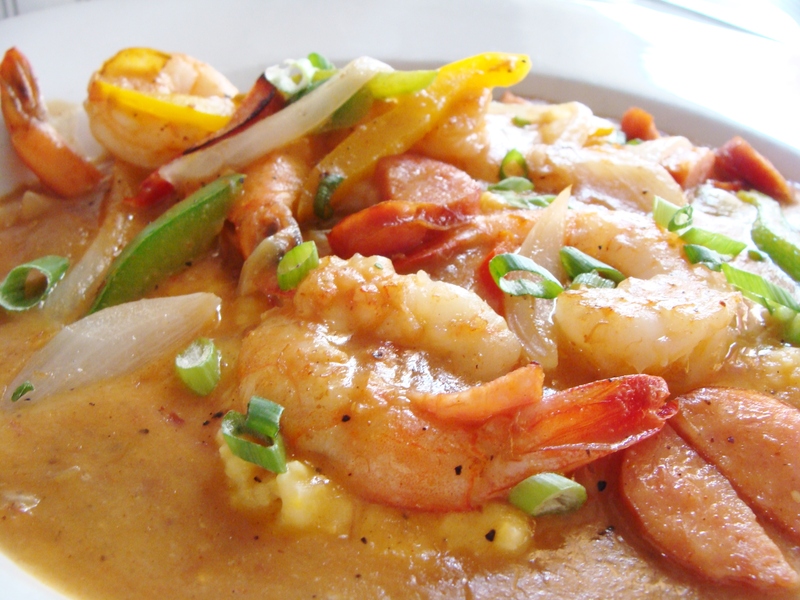 shrimp and grits. served with tri-colored peppers, vidalia onions, spicy sausage, Tasso ham and blue crab gravy. 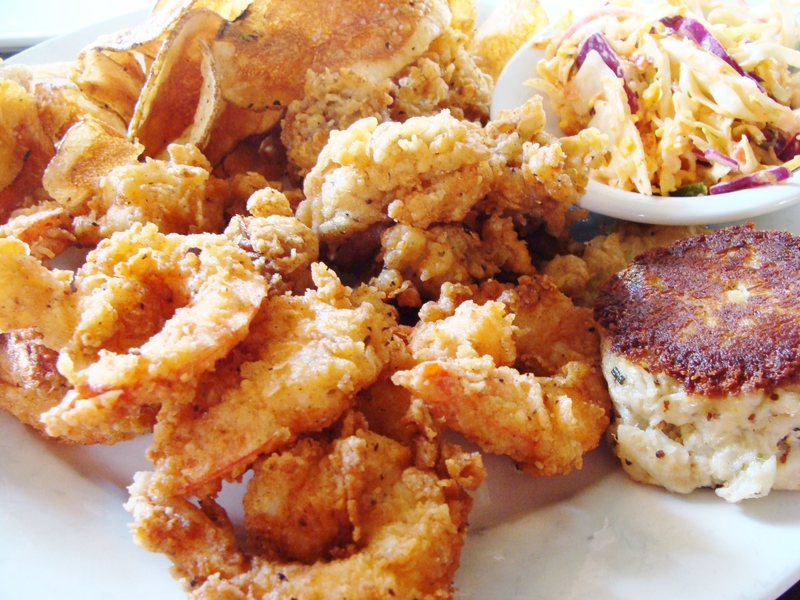 calabash style seafood combination platter. this is my dish! i substitute more oysters and shrimp in place of flounder. lightly dusted, super fresh, tender, and flavorful. 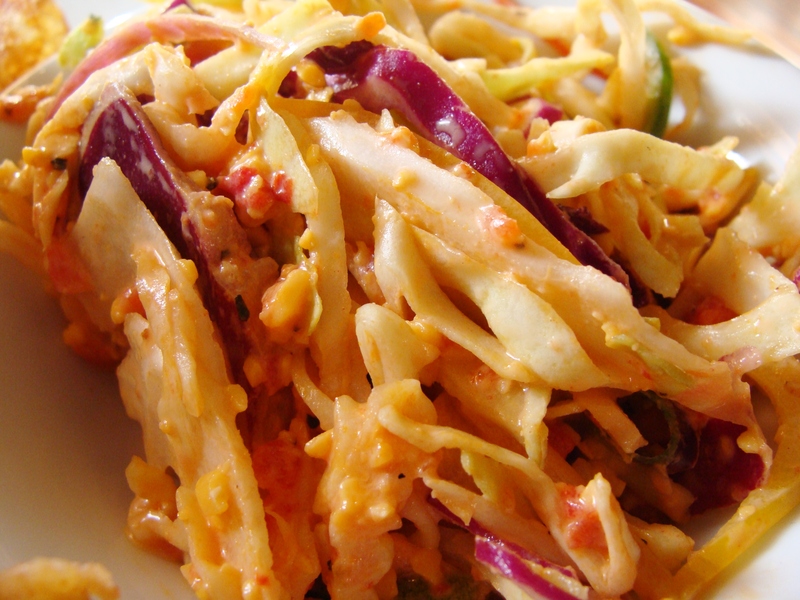 pimiento cheese slaw. the perfect accompaniment to the seafood platter, along with housemade kettle chips. 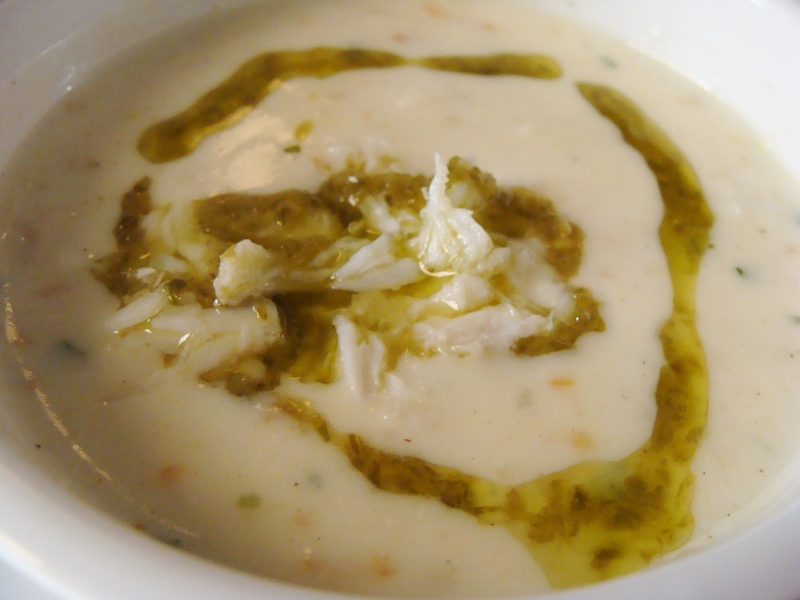 chef isaac’s she-crab soup. with a spicy kick of chive oil! macaroni and cheese. a generous serving for a side dish. pretty much perfection. I will look forward to my next meal at Poogan’s! « grilled peanut butter sandwiches. 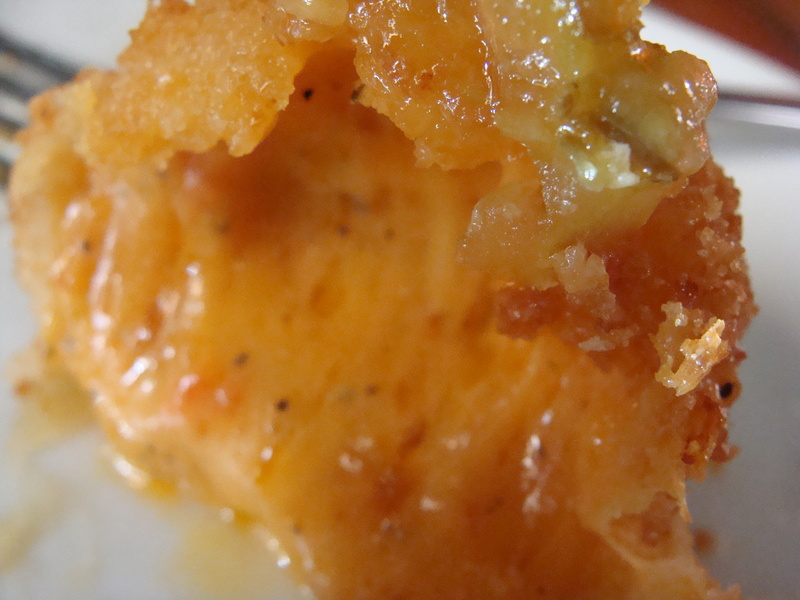 You are currently reading dining out @ Poogan’s Porch (Charleston, SC) at The Cheesy Kitchen.